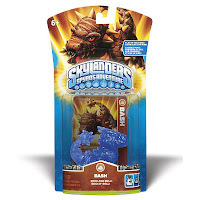 Skylander figurines come in all different shapes and colors but they are not all worth the same. Which Skylander figures are the rarest and the most expensive? 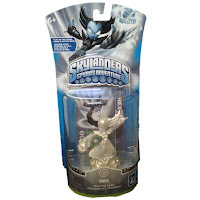 The rarest of all Skylander Figures are the three figures given away before E3 in 2011. Privately they have sold for $750. No public sales have occurred at this time. In 2011, before Skylanders launched, Activision sent figures to different media people to hype the release. Each figure had a sticker asking the person to bring the figure to E3 in 2011 and try the game. All three figures are extremely rare. In December 2013, Activision gave a limited edition gold colored Fire Kraken to all the developers who worked on Skylander's Swap Force. The exact number produced is unknown but this version should be more rare than the Employee Edition from 2012 because it was given to a smaller subset of Activision employees. Pearl Hex is a paint variant of the normal Hex and functions the same in game. The only difference is the coloration. Given away or sold at the 2012 Nuremberg Toy Fair, they are very limited and hard to obtain. It has a brilliant luster using pearlescent white paint. The first rare figures for Skylanders: Swap Force, these green figures are fetching premium prices. The green figures play the same as the normal colored figures. Most people who own them will never take them out of the box though because they are meant for collectors and taking them out of the box cuts the price in half. Metallic Cynder is a paint variant of the normal Cynder and functions the same in game. The only difference is the coloration. Given away or sold at the 2012 Nuremberg Toy Fair, they are very limited and hard to obtain. At the end of 2012 Activision gave all of their employees a limited edition Skylanders figure - the Gold Prism Break. There are estimated to be about 8,000 of these in existence, which makes it one of the rarest figures. With a value of $300 it turned into a very generous present for the employees. The Dino-Rang, Eruptor, and Boomer figurines also come in a metallic silver variant that is easy to fake. Activision learned their lesson from this mistake and does not ship solid color variants anymore. These figurines are as rare as the gold variants but people often overlook them. 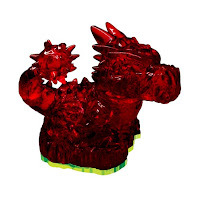 The Stealth Elf, Cynder, and Wham-Shell figurines also come in a clear variant. They function the same in game as the normal version but they glow which is a neat addition. These are part of a new approach by the publisher to prevent knock-offs. Creating translucent figurines requires a mold and impressive skills working with resin and is much harder than simply repainting the figurines. The Zap, Warnado, and Wrecking Ball figurines also come in a glow-in-the-dark paint variant. They function the same in game as the normal version but they glow which is a neat addition. These are part of a new approach by the publisher to prevent knock-offs as the glow process is harder to replicate than simply repainting the figurines. 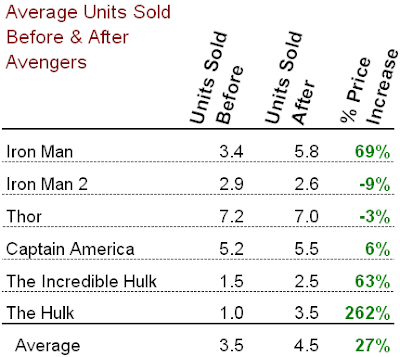 This is part of the newer wave of releases and for the time being they are more sought-after, driving prices up. Eye Brawl, Lightning Rod, and Wrecking Ball were made in a chase variant of Metallic Purple. The figures have a metallic sheen on them. They come in random boxes from Activision and have identical packaging to the normal variations. Only 1,500 were made of each figure. The Chop Chop, Flameslinger, and Drill Sergeant figurines also come in a metallic gold variant that is easy to fake. Buyer beware, these variants were part of the first wave of figures and the publishers have learned from their mistakes when it comes to paint variants. Bootlegged versions are fairly easy to find. 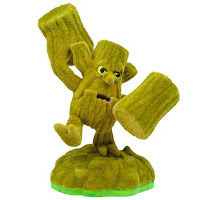 This figurine is a unique variant of Stump Smash covered in felt. It was released as part of a Frito Lay promotion and only 7,334 were made. Prices for this figure could skyrocket due to its rarity. The Volcanic Vault is an interesting piece. This figurine opens up a new Multiplayer arena. The level is just a recolor of the Aquaduct but it is interesting just the same. This is a really unique piece and was part of a few promotions in stores such as Best Buy in the US and GAME in the UK. I see this piece getting harder to come by as it falls further into obscurity. The official Skylanders Facebook page held a fan poll of what Bash variant they wanted. The choices were translucent red, blue, or green. Even though Bash is an Earth element, blue won the contest and as such translucent blue Bashes were released to the public. They are relatively common but do fetch notable prices. 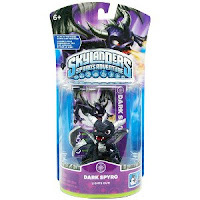 Dark Spyro is a variant of Spyro but it actually functions differently in game. This piece is easy to find as it is bundled with the 3DS version of the game but that means that you have to buy that version to get it. It was sold in a single pack in the UK and may one day be brought to the US in the same fashion but it is hard to find for cheap. We've updated the Rare Nintendo 64 game article to include more than 20 rare N64 games and reasons why the most expensive fetch such big price tags. At a users request we have added all the TurboGrafx-CD (Super CD) games to our database. You can see them all by searching for "Super CD" or visiting the TurboGrafx-16 page and looking for titles with "[Super CD]" at the end. 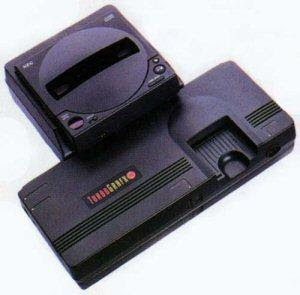 With this method of listing the games on our site you can compare prices on all TurboGrafx games on the same page or see prices for only the CD based games too. 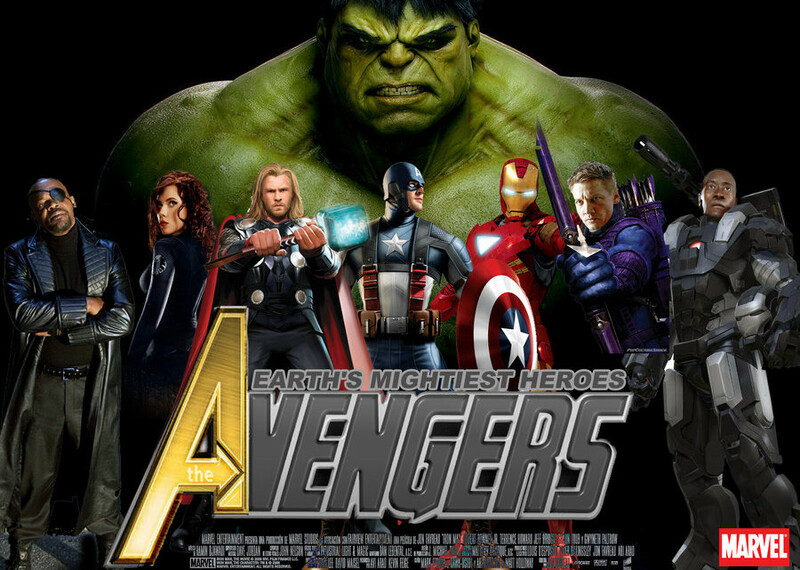 The Marvel characters who make up the Avengers are Iron Man, Captain America, The Hulk, and Thor and all of them have their own movies before The Avengers came out this past Friday, May 4th. Resale prices for these DVD's in new condition increased 48% after Avengers came out and unit sales jumped 27% too. More than 17 million people saw The Avengers during its opening weekend and it grossed a record setting $207 million in three days. After seeing the new movie, many of these people decided to buy the DVD's for the individual characters as well, which increased demand. Supply wasn't able to increase as quickly as demand did so prices increased to compensate - Economics 101. 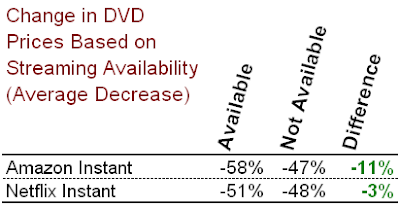 Price: The price shown is the average price for a brand new DVD sold on eBay. The 'before price' is during the last week of April and the 'after price' is the average from May 4th to May 9th. Units Sold: This is the average number of units sold per day on eBay and only includes new condition DVD's. The 'before' and 'after' time periods are the same as those used for the price calculations. 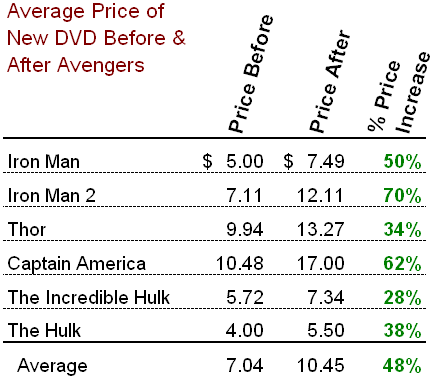 The DVD's used in the analysis were Captain America, The Incredible Hulk, The Hulk, Iron Man, Iron Man 2, and Thor. 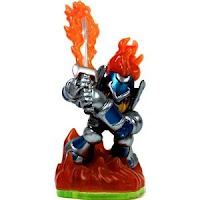 Below is a complete list of the known Skylanders figures including Rare, Color Variants, Promo Variants, Series 1, Series 2, and Series 3 figures. Skylanders: Spyro’s Adventure first launched October 12, 2011 in Australia for the PC. It has since spread worldwide and released on the Wii, Xbox 360, PS3, Nintendo 3DS, and Mac OS. It is slated to launch in Japan later this year. This title is the definition of a blockbuster and employs marketing techniques from several different series allowing for unparalleled success. Activision has stated that they have already earned over $200 million in the US alone and are gearing up for a sequel, Skylanders: Giants. This game is redefining gaming, marketing, and collecting in one fell swoop. How did they do it? For starters, it is a great game to play. It is fun, it looks good, and it is available across every major gaming console. The story is written by Alec Sokolow and Joel Cohen, both of whom worked on Pixar's original Toy Story film, guaranteeing appeal to children and adults alike. The controls are easy to pick up and the game is fun and fast-paced but long enough to allow for time investment and sentimental attachment. It has colorful characters and is a stark contrast to today’s video game market oversaturated with bloody, gritty war simulations. The PC version earned a 93.00% aggregate score on GameRanking.com. Activision has outdone themselves and everyone else in the gaming industry with the marketing behind this project. They worked with Nickelodeon to create a tour as well as heavily invested in their own website and web games. However, the number one marketing ploy that they have utilized is an incredible media blackout on their shipments for figurines. Release dates are hard to track down and they do not even tell their vendors what they are going to be sending them. Each shop has something different. Some stores do have exclusives and some exclusive are later on revealed to not be exclusives at all. This combination of misinformation and lack of information creates an interesting mix and is the exact same as the marketing employed to sell Beanie Babies. Just how many figurines are there? This is a hard number to find, but there are 70 know Skylander figurines. That number includes all known variants, items, promos, sidekicks, and levels. Collecting the figures is not just for completionist purposes, these figures often unlock something in-game. They are tangible DLC (Downloadable content). You actually have to buy them to continue on in the game itself. 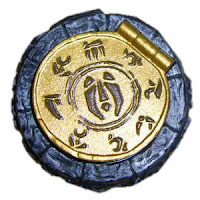 However, several of these figurines are simply rarer variants that function the exact same in-game as their more common counterparts. Nowhere on the box does it say that, though. All of this is just part of the mystique. Gamestop has realized the value of these figures and recently started buying and selling used figurines to capitalize on the success of the title. If you want each of these figurines, be prepared to spend several thousands dollars. When you purchase any color variant, you must beware. Only buy them sealed in their box. Anyone with a can of spray paint can create a rare color variant. That is why Activision has changed the variants to harder-to-fake versions such as clear or glow-in-the-dark to reduce the likelihood of forgery but you can never be completely safe. Be careful when buying these figurines. You can lose a lot of money with one fake purchase. All of the collectible color variants and promo variants are valued at anywhere from $500 to $900 each. Never pay more than $30 dollars for any individual Skylander figurine unless it is a variant. The Legendary characters are worth more. It is also important to remember that this is not a stable market at all. Prices vary wildly day-to-day and something that sells for $5 dollars today can sell for $50 tomorrow. This will even out after the hype dies down but right now, this is a seller’s market and buyers should expect to pay a premium price to get what they want to complete their collections.